If the last two years have shown consumers anything, is that it’s wiser to hold onto those credit cards than to let them gather dust, or else you’ll find yourself with lowered credit lines or closed accounts. Neither is very good to your credit score. As credit card rates reached record highs early this year, some as high as 79.9%, consumers are taking a second look at other methods when rebuilding their credit. While paying off your debt does increase your credit score, you may find receiving better interest rates or getting a loan approved requires an even higher rate than the one you currently hold. Here are ways to rebuild your credit, with and without plastic, after the hard work of repair is finished. Often ridiculed for lack-luster, online banking applications and a lack of convenience when it comes to the number of available branches, credit unions have seen a resurgence of customers. It could be because of their lower interest rates on loans and credit cards, no annual fees and in some instances, no fees for cash advances within certain ATM networks. I opened my first checking account with a Credit Union. 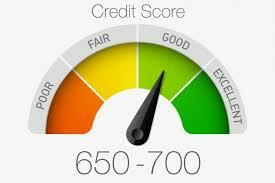 To build your credit, ask about a secured loan. Of course, these loans are secured with a deposit from you into a CD or savings account, but if you’re looking to start from ground zero it may prove to be beneficial. Credit Unions look at more than just your credit scores, they look at how you manage your accounts, how you plan for retirement or your child’s education as well as your employment history. Credit unions also report to all of the three major credit bureaus: Experian, TransUnion and Equifax (learn more here). To use this option, you must be a college student with at least a half-time status. This type of loan has one disadvantage: your payment history is not reported until you begin repaying the loan. But if you’re in a career transition, due to a layoff or just changing careers, this is one way to rebuild that credit history on a solid foundation with no credit checks, low rates and great terms. As long as you haven’t defaulted on a previous student loan, or borrowed the maximum loan amount, this loan is obtainable. There are many types of student loans available. As with all loans, do your research and read the fine print. To get the basics on student loans, check out the American Student Assistance. Secured cards require you to make a cash deposit up front. That deposit is then the credit line for the secured card account. There are many plans out there, but do your research first. Some banks allow depositors to add money to the account which adds to the credit line, while others reward consistent payment history with lower rates. Go back to the beginning. How? My first credit card was a department store credit card, and with a good payment history, it allowed me to acquire a Visa card through my local bank. Gas cards also work. Everyone, or nearly everyone I know, commutes to work. But you need to use these cards properly. Since these cards carry a high interest rate, it’s to your advantage to pay the bill in full every month. When rebuilding your credit, remember higher balances can lower your credit score, so never carry more than 30% of the limit allowed on the gas card. For example, a $500 limit allows you to carry $150 balance on a gas card.